The time has come to file the income tax return for the Assessment Year 2019-20 (FY 2018-19). But do you know whether you have to file income tax return or not. Many of us think that I have paid the taxes, so I need not to bother about filing the income tax return? Someone is not a tax payer as the income is below the specified limit. Is it mandatory to file income tax return for them? If someone has more than one income what form should he choose to file the return? These are very common question which are coming to tax payers mind very often. Hence, I have taken this topic “Which ITR form to file AY 2019-20” to clarify the readers. Income Tax return is a document about the income and tax details that you submit the Government concerned tax authority. Indian Citizens have to file income tax return to the Income Tax Department of the Government of India. If you have paid more income tax, you will get return to your bank account. Is it necessary to file Income Tax Return? As it has been discussed earlier that many of us thinks that the income tax return is not mandatory to file when the TDS has been deducted from the account. It is not correct statement. If the gross taxable income exceeds the basic exemption limit you must have to file income tax return. The basic exemption limit is different for different categories. Rs 2.5 lakh is the basic exemption limit for Individual/ HUF tax payers. Senior citizens (above 60 yrs age) have the limit of Rs 3 lakh and the senior citizens with 80 years old have the limit of Rs 5 lakhs. Now what is the gross total income? The gross total income is the total income minus your basic exemption such as medical, conveyance, HRA. It is the income before deducting the savings which are tax exempted. The first requirement is during the home loan application. Banks and NBFCs want the last two to three years IT return for processing the home loan. It is also applicable for other loans such as car loans, personal loans etc. 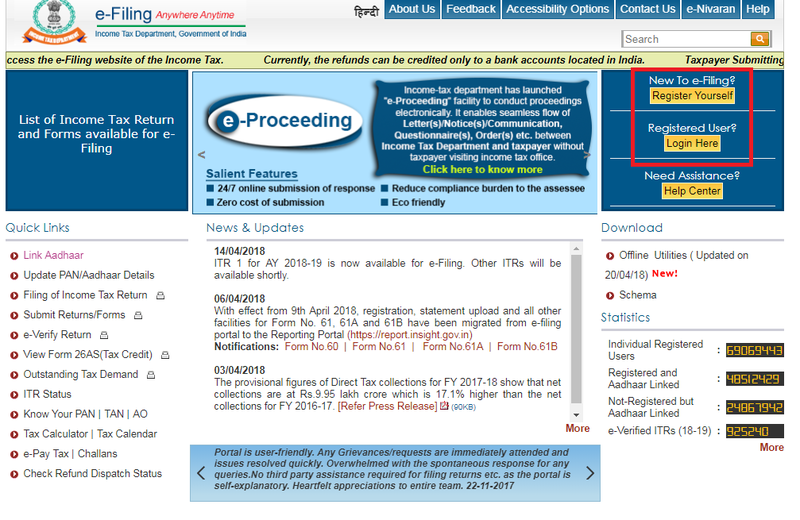 ITR filing is required to apply for a credit card. Sometimes credit card companies deny to issue the credit card if you did not file ITR for last two years. It can be shown as a proof of income if you require to establish a proof of income to any government department for any other purpose. It is mandatory for VISA processing of some countries. You can also add up your business losses to carry forward to subsequent year if you file income tax return every year. If you avoid the filing of income tax return (even if you have paid the complete income tax ), the department may impose a penalty on you. What are to be kept handy to file IT return? Form -16: This document is having the salary details and the TDS deducted by your employer. You will get it from your employer. If your employer has not given till now, you specifically ask the HR or concerned department to issue the Form-16. Form-16A: This is the statement from different organisation who has deducted tax from you such as banks, financial institutions etc. Bank account details: You should be ready with all the bank account details you have. If you have more than one account, you need to furnish the details all the bank accounts. So be ready with account numbers, IFSC code, Branch etc. Proof of Investments: The documents for investments and purchase/sell of property need to be kept with you as record purpose. These documents need not be submitted with ITR but in case of verification from Income Tax Department you need to show all the documents. What form should you use to file ITR? There are seven forms available in the Income Tax website for filling return. You should know what is applicable for you before filling the return. Many taxpayers omit their capital gains or any other income while filing the return to avoid complicacy or hiding the information. This is not desirable from tax payers. Income from more than one house property. Taxable Capital gains, if any. If your income is more than Rs 50 lacs, you have to use the ITR-2 for income tax return filing. This for is applicable in case you have taxable capital gains, foreign income and agricultural income of more than Rs 5000. If you are partner in a farm and do not have any income by means of salary, interest etc., you have to fill up ITR-2 for return filing. If you have income from house property or from other sources including lottery or horse race you have to use ITR-2 for return filing. You cannot file ITR-2 if you have any income from business/ profession under any proprietorship. The individual/ HUF who has proprietary business or profession fill up this ITR. 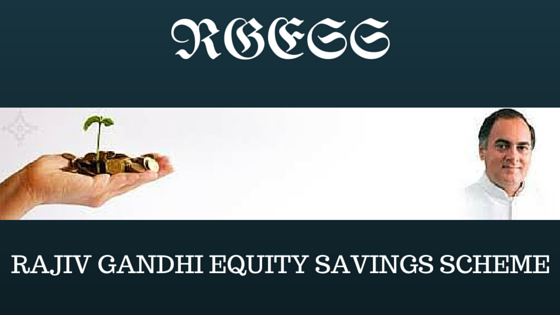 You have capital gains from the sale of property, Mutual funds, stocks etc. Having an asset located outside India/ having income from any source outside india. This for is applicable for companies which is claiming exemption under section 11 of income tax rule. This form is to be used by the companies or trusts such as research organisation, news agency, educational institution, hospital etc. Show the interest received in savings account and fixed deposit. Maximum tax payers don’t show the interest income as it is very less or tax free. The interest earned in savings account more than Rs 10,000 is taxable and the interest from fixed deposit is taxable. You be ready with the TDS certificates while filling up the ITR. If you have any foreign assets and income disclose it and fill up the proper ITR which is applicable to you. ADHAAR is now mandatory for the tax return. If you have valid ADHAAR card or number, don’t forget to link it up with PAN and quote in the ITR as well. If you have changed your job last year and your form-16 from present employer does not reflect the income from the previous employer, you should add that income at your own and filed the ITR accordingly. It would be great to submit the income tax return within the due date i.e. 31st July. For businesses the last date of filing return is 30th September. You can also revise the IT return up to the next financial year. Further, don’t hide any information related to income and tax, because everything is mapped with the PAN number, so it may trouble you if there is any information gap between your return and actual income. If you have paid more income tax and about to get refund from the income tax department, file the return quickly and get your return quickly in your bank account. Share the article via social media.